Purists might believe that saxophones and funky basslines have no place on an Iron & Wine album. Well, hold onto your beards and get ready for a rude awakening, diehard folkies, because with Kiss Each Other Clean, Sam Beam has delivered his finest album to date. From the first notes of the fantastic, reverb-soaked “Walking Far From Home,” it’s clear that Kiss Each Other Clean picks up where 2007’s The Shepherd’s Dog left off. Beam takes another step away from his lo-fi origins and experiments with more layered sounds. Back in October, he announced that the album would sound like “mid-70s FM radio-friendly” music, and while you can certainly hear those influences, it never sounds like anything other than an Iron & Wine record. 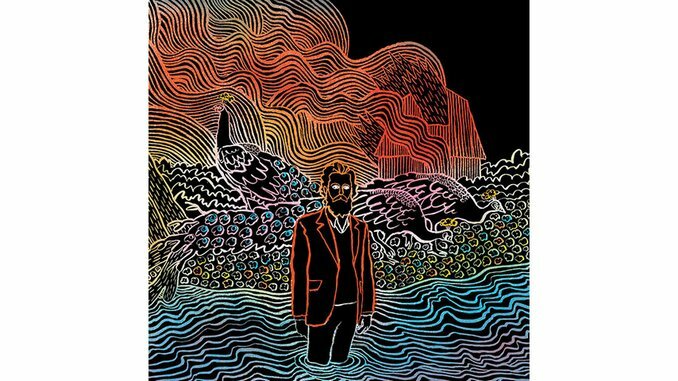 Even with a handful of new elements, the album fits comfortably into the ever-transforming Iron & Wine catalogue. It may be miles away from the stripped-down beauty of 2002’s The Creek Drank the Cradle, but it’s the fruition of a series of gutsy moves by an artist who no longer needs to whisper. Kiss Each Other Clean has the potential to please longtime fans and generate plenty of new ones. On “Me and Lazarus,” Beam sings, “I’m just a liberated loser that can roam, but where my pocket was I’m peeking through a hole.” This stellar album and his new, major-label exposure should fill our man’s pockets in the near future. Download “Tree By the River” here.